I remember the exact moment that I first learned about Silfra. We were on our way back from Roatan, having just spent a week diving in clear, warm, Caribbean waters, about a month after getting certified. We were waiting to board our last plane from Atlanta back to Detroit when Aaron looked at me and said, ''We should dive Iceland someday.'' I balked. That water was cold! 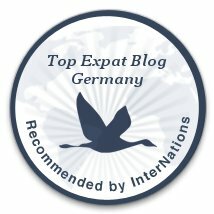 What is there to see in Iceland? And that's when he showed me the pictures. I was sold. But we were still new to diving and missing some crucial gear (i.e. a drysuit) and experience. Not to mention flights are usually fairly expensive from the US to Iceland. So, I thought it would be years and years before we were able to dive it. Little did I know that a move to Europe would allow us to dive it much sooner than we had expected. It was one of the first items we added to our bucket list when we found out about our impending relocation, and I am so glad we were able to do it! 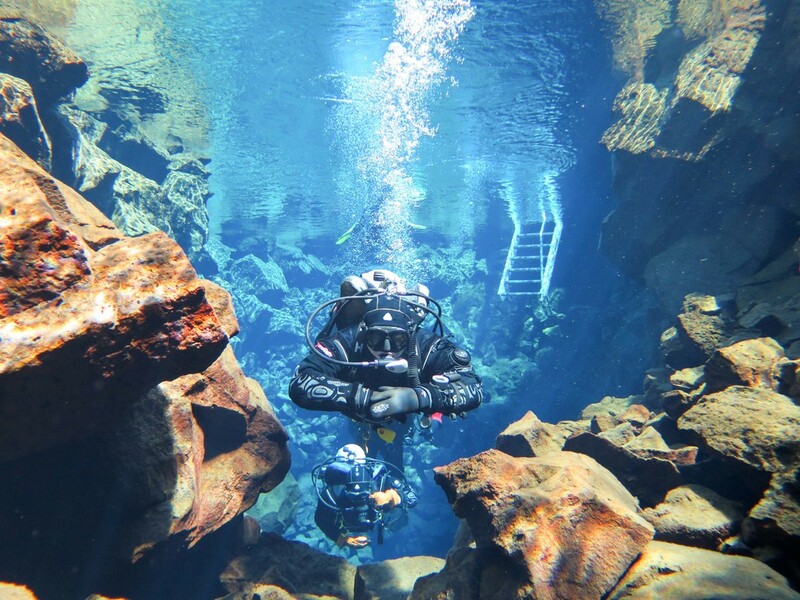 Silfra was the last day of our 3 day diving tour in Iceland. They definitely saved the best for last! Quick note, this post has a LOT of pictures! I just couldn't help myself - it was so beautiful! 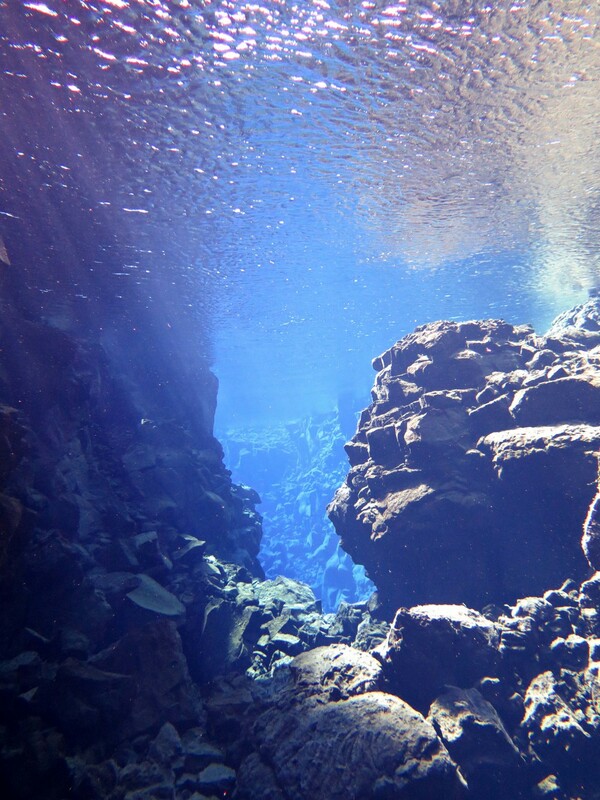 Now, time for a quick little geology lesson :) Silfra is the fissure where the North American and the Eurasian tectonic plates meet. It's for this reason that Iceland has so many volcanoes on it (about 130 in all!). While many of them are dormant, or haven't erupted in hundred of years, there are some that still do erupt from time to time. For millions of years, the continents have been drifting apart. In the past, it was at the rate of about an inch per year. However, sensors have indicated that drifting hasn't occurred in the last 14 years. In case you didn't know, Iceland is also called the Land of Fire and Ice. We've talked about the fire, now time for the ice. Iceland has Europe largest glaciers. One of these is near the National Park (i.e. 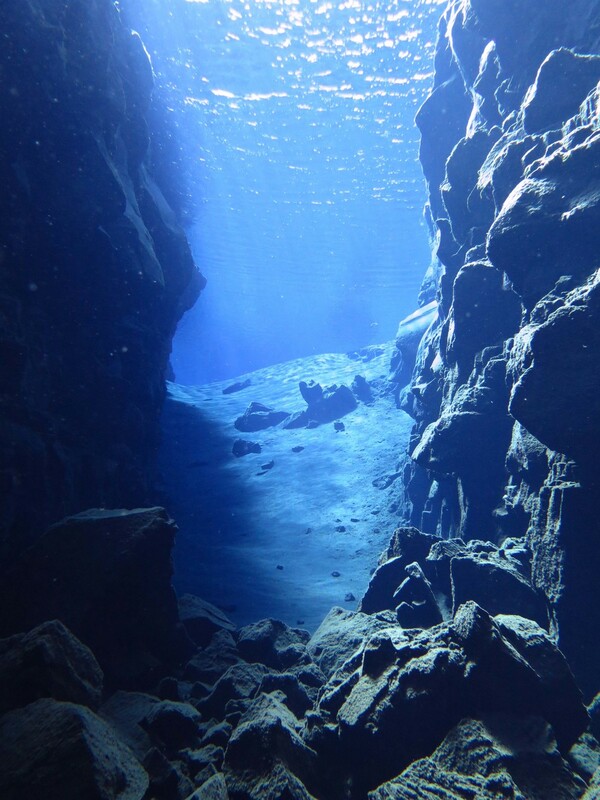 Silfra). 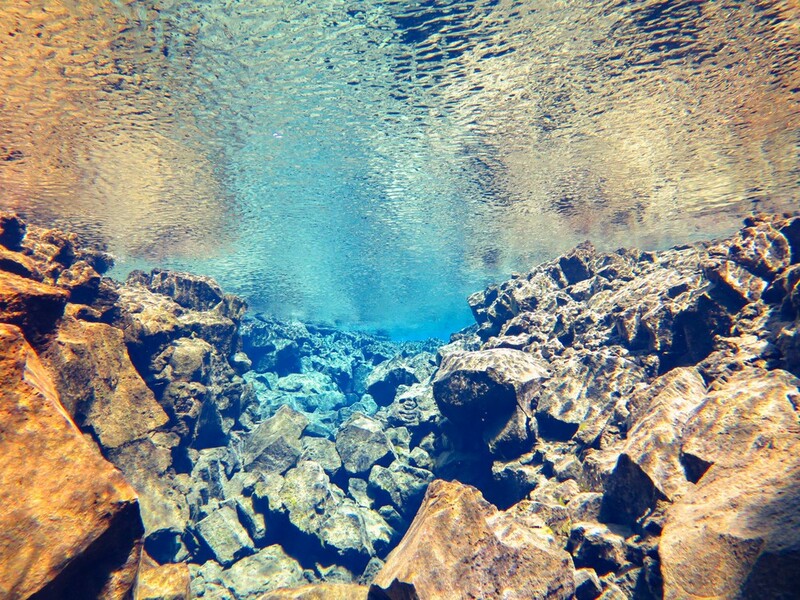 As it melts, the water is filtered through the volcanic rock. It takes anywhere from 30 - 100 years to reach Silfra but by time time it does, it's so clean you can drink it (which we did, and it tastes pretty good!). Interesting trivia fact, if this was the only water you were drinking, you would eventually suffer from mineral deficiencies since it is so pure. This also means that the visibility is amazing. Both dives followed the same path. You enter in the Big Crack, which is exactly like it sounds. It is at this point that the two sides are close enough to touch. I've stood in two countries at once in Austria, but touching two continents at the same time is kind of mind blowing. 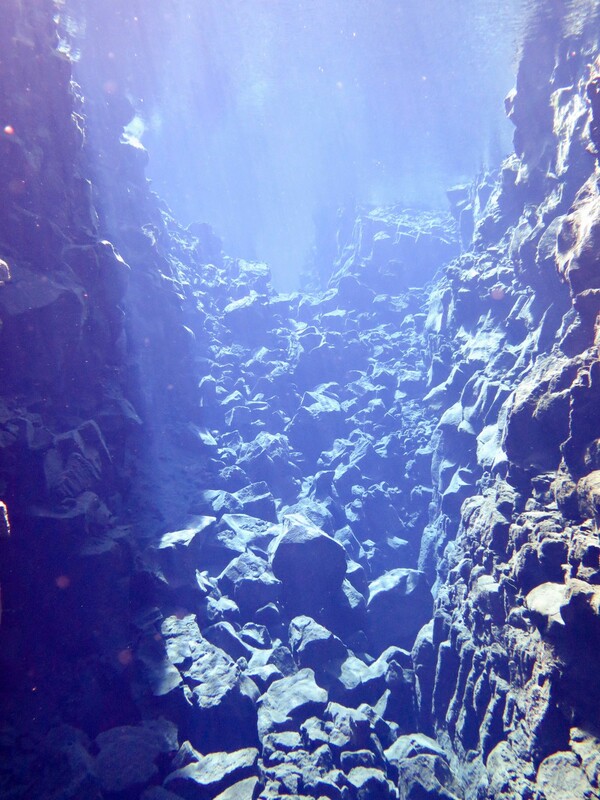 Once you pass through the crack, you enter the Silfra Hall. 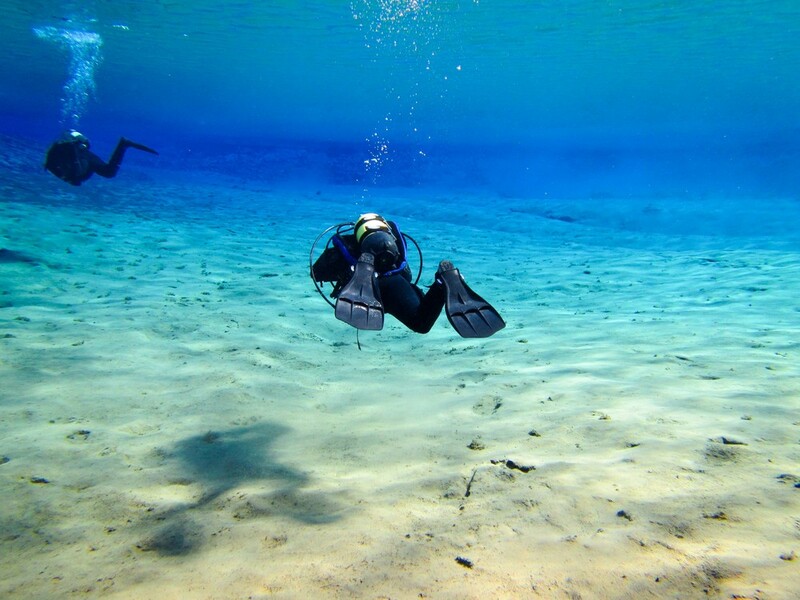 At some points, the water is so shallow that you are essentially snorkeling over it. There are some deeper swim-throughs, but park regulations don't allow anyone to use them after a couple people died a few years ago. Park regulations also limit the maximum depth to 18 meters (60 feet) for safety. Two places at once! On the left is North America and the Right is Europe. So UNBELIEVABLY awesome! After the Silfra Hall, you enter the Silfra Cathedral. This is a large area with vertical walls flanking either side and large boulders at the bottom. If you are the first diver to enter, the sight is amazing, otherworldly. However, even if you're not, the bubbles from the divers in front of you look magical. Some describe it as a chandelier. It was sunny the day we were there, so the combination of the unbelievably clear water, the bubbles and the sun meant that there was a rainbow of colors and light reflecting everywhere. Seriously, it was amazing. 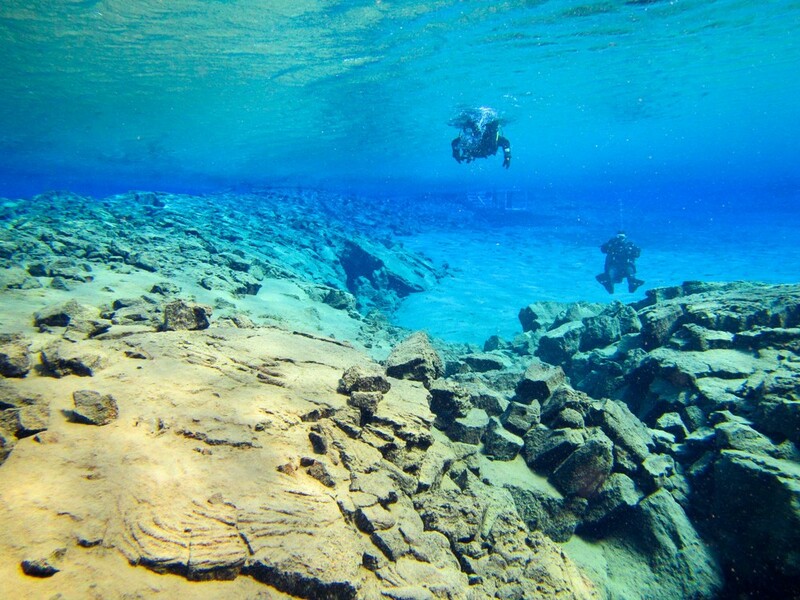 The dive ends in the Silfra Lagoon which is a large, relatively calm pool. Only about 4 meters deep, the visibility is as far as the eye can see. The turquoise waters and dancing sun are hypnotic, lulling you into forgetting that this has been about a 45 minute dive, in water that is 37°F, and that you are pretty cold at this point. I could have stayed here until I ran out of air and was forced to change tanks, it was that amazing. Give me some argon or a heated vest under my drysuit, and I definitely would have stayed. Forget that our guides and everyone else is cold! The walk back to the van was longer than it looks. About 250 meters, it's a well-maintained gravel path that has a couple of small hills you must walk over. But it wasn't the distance or the hills that were hard, it was the ever present wind that was blowing. Thankfully it wasn't the middle of winter, with that wind we would have been frozen stiff by the time we got back to the van! 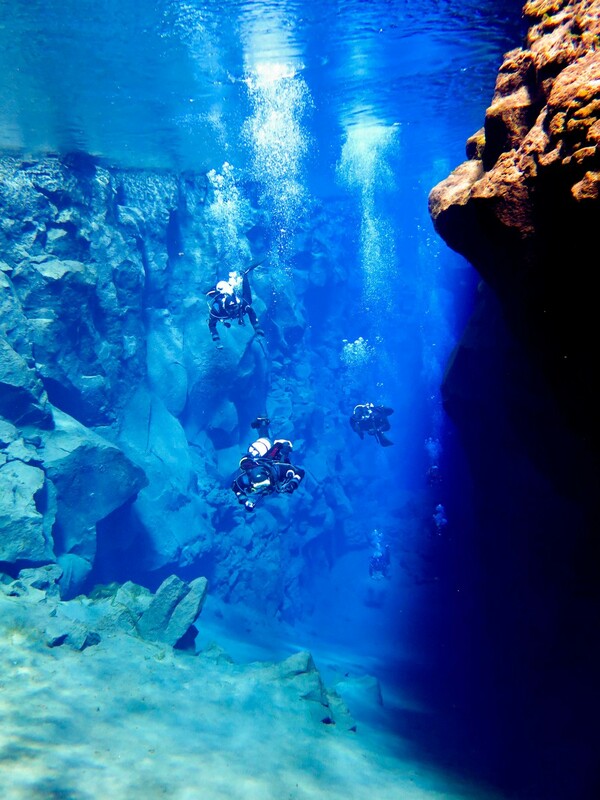 In all, diving Silfra was more amazing than I could have ever imagined or describe. It really is a wonder and one that you will only understand once you dive it. Sitting here writing this, I already want to go back. I'm not sure doing that dive could ever get old. And just for good measure, here are more pictures from our dives. Make sure you click on them to make them full screen for the best effect.